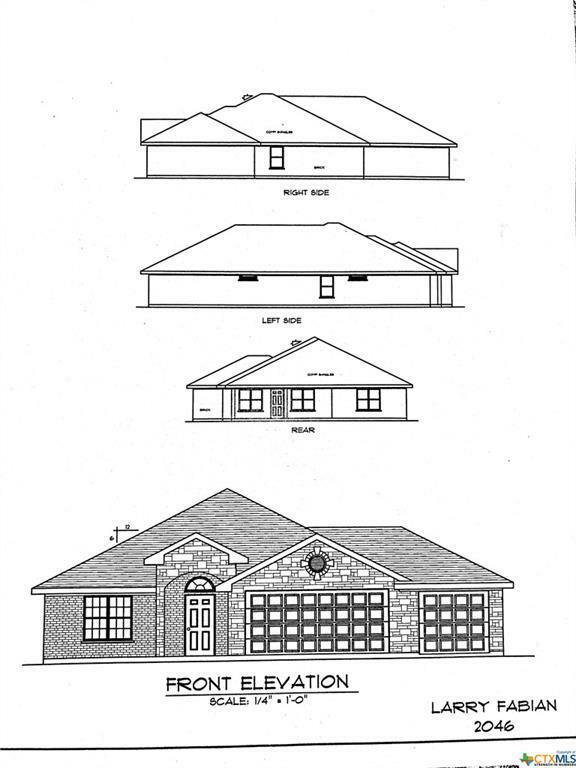 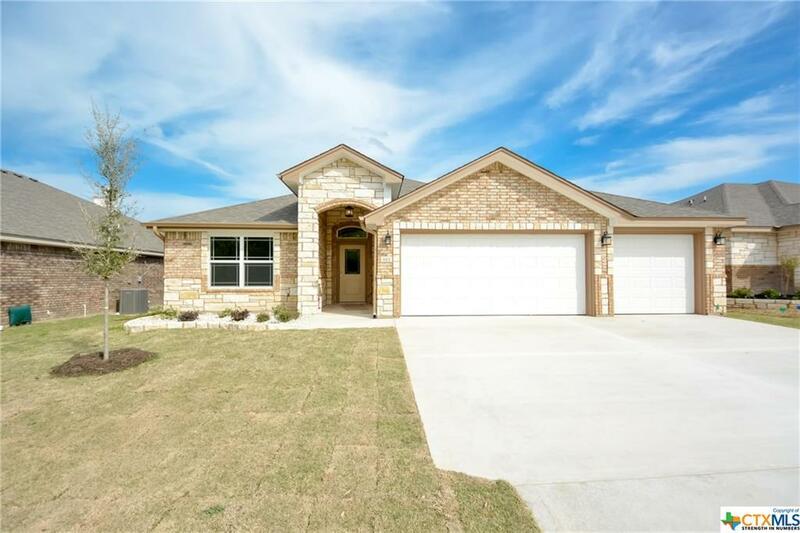 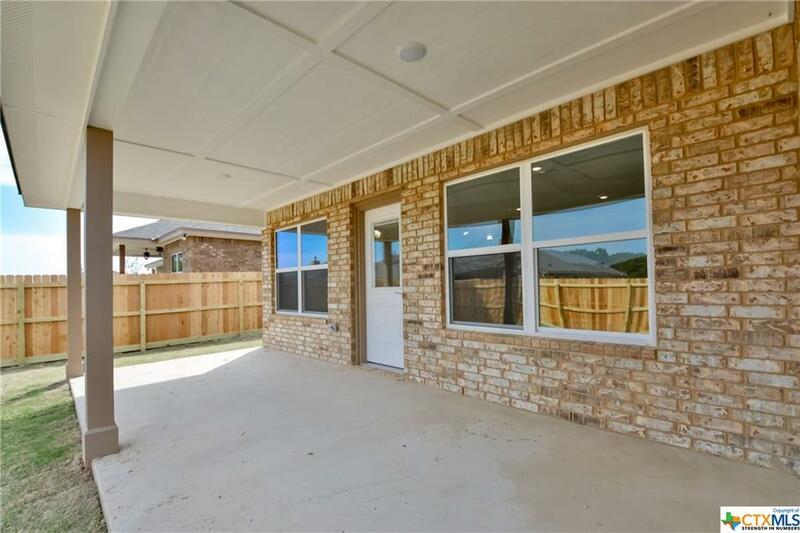 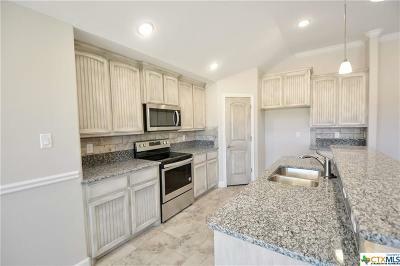 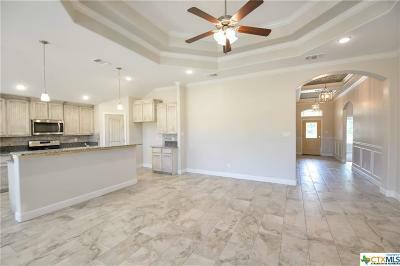 Gorgeous, 4 bedroom 2 bath 3 car garage home, in Belton ISD. 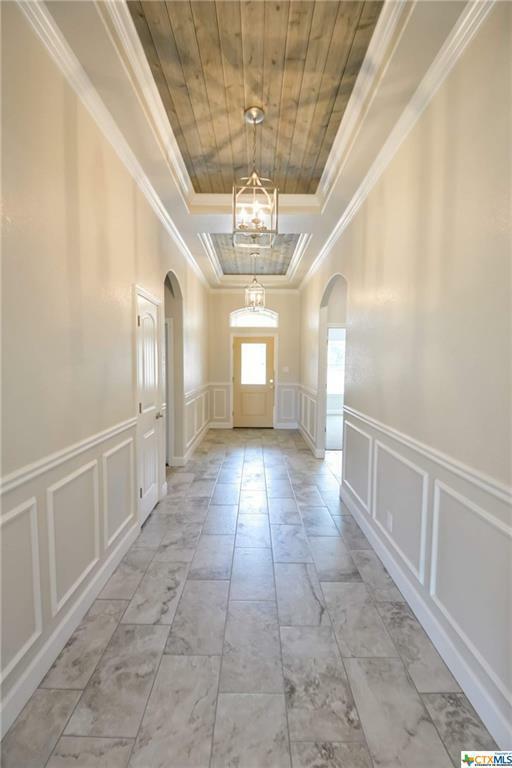 Entry has 2 large pop up tray ceilings with shiplap. 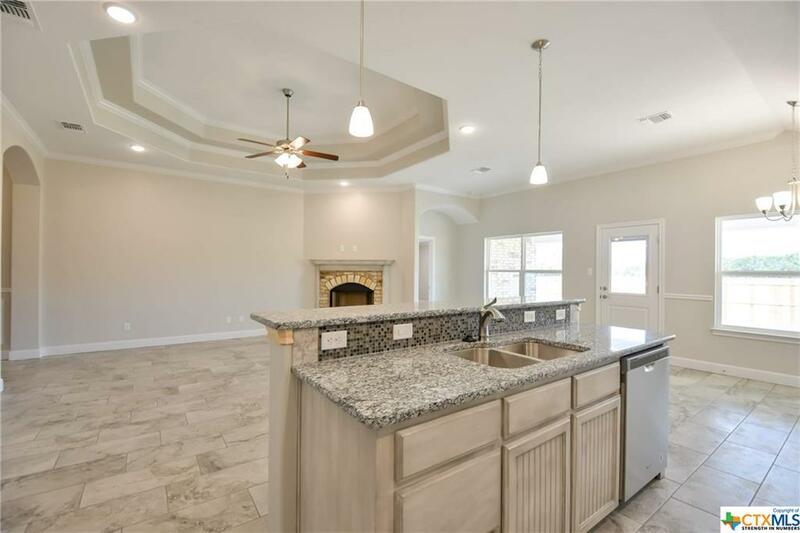 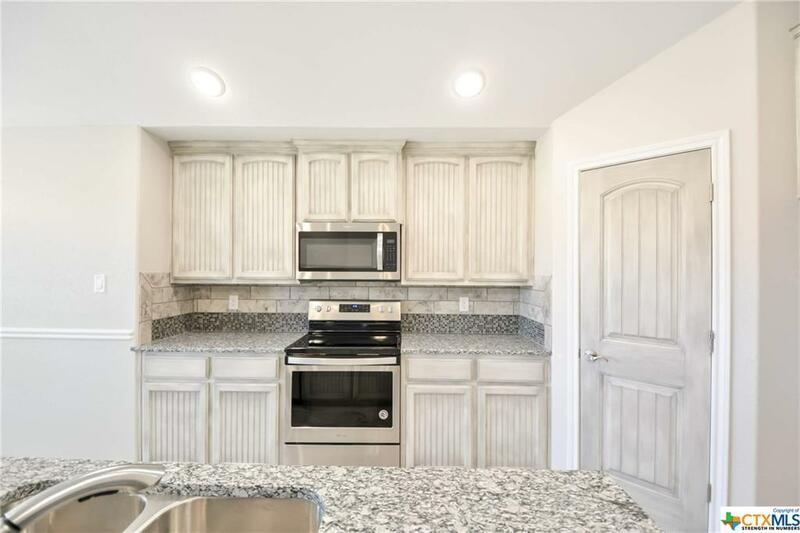 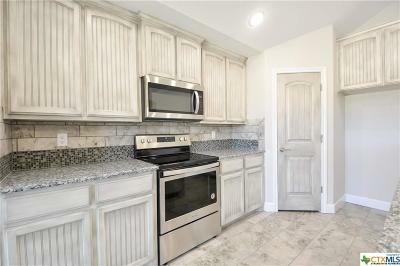 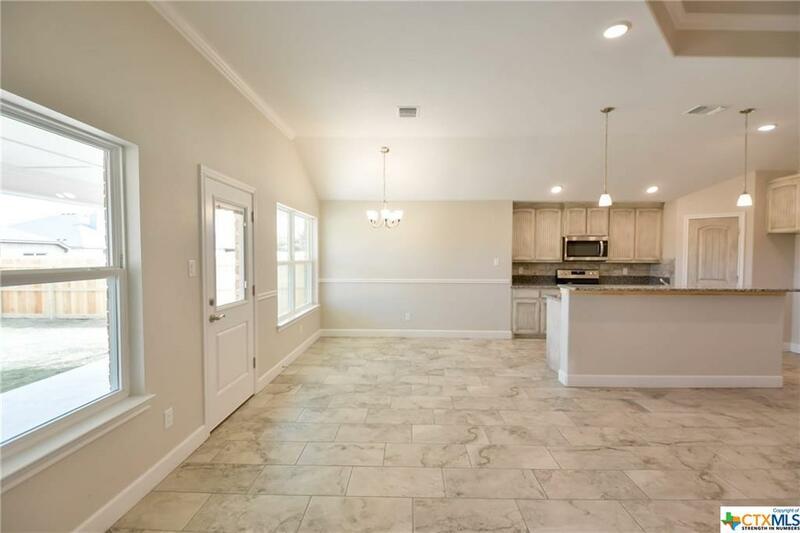 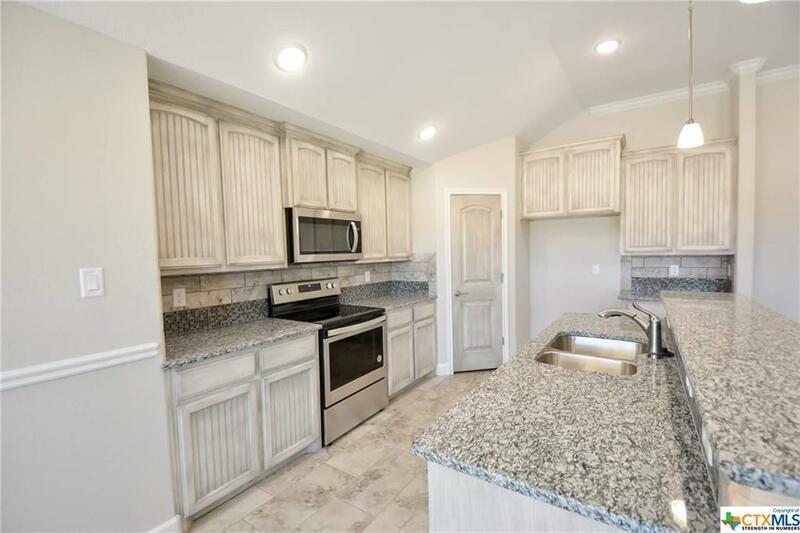 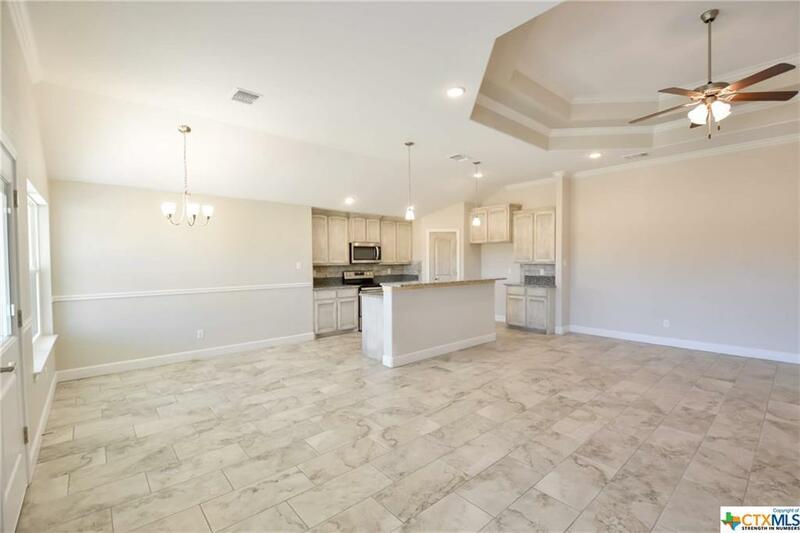 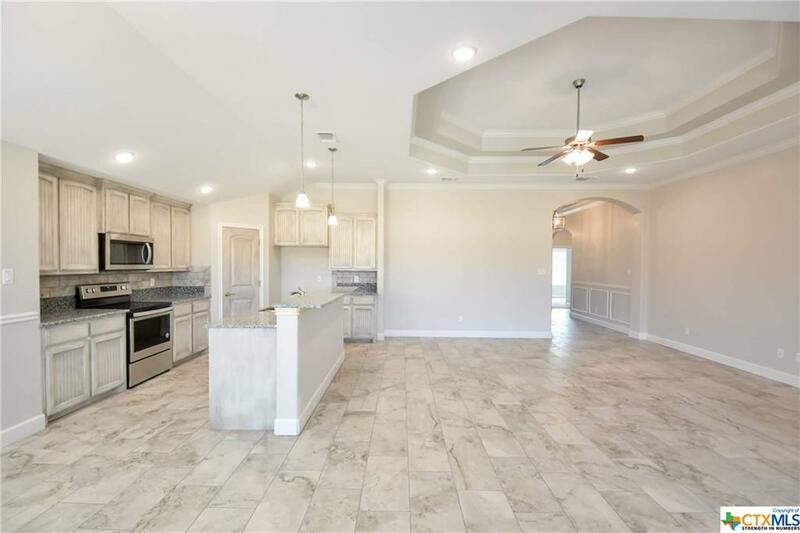 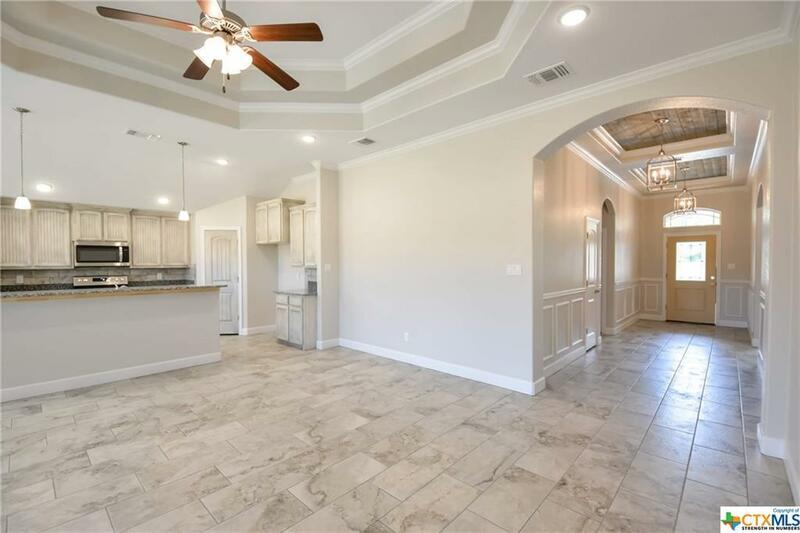 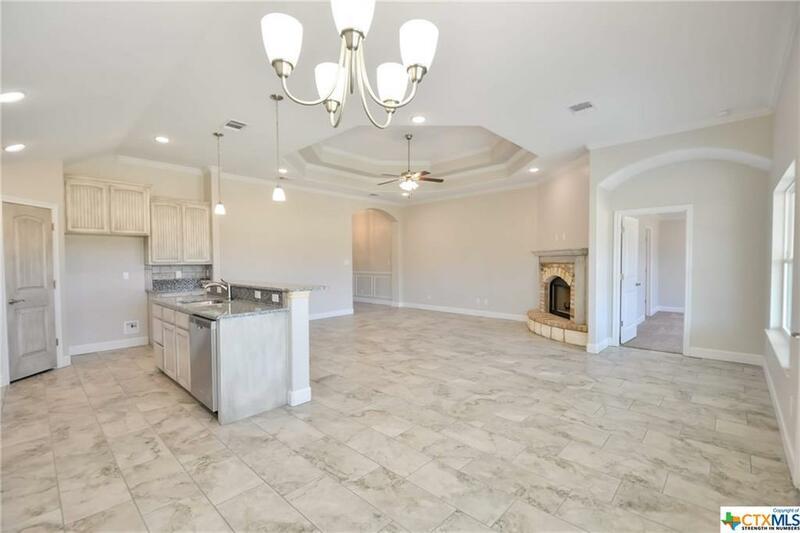 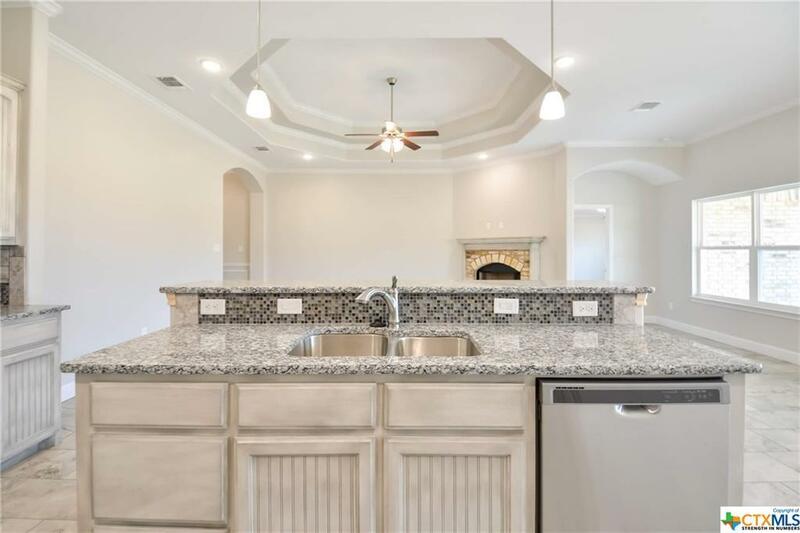 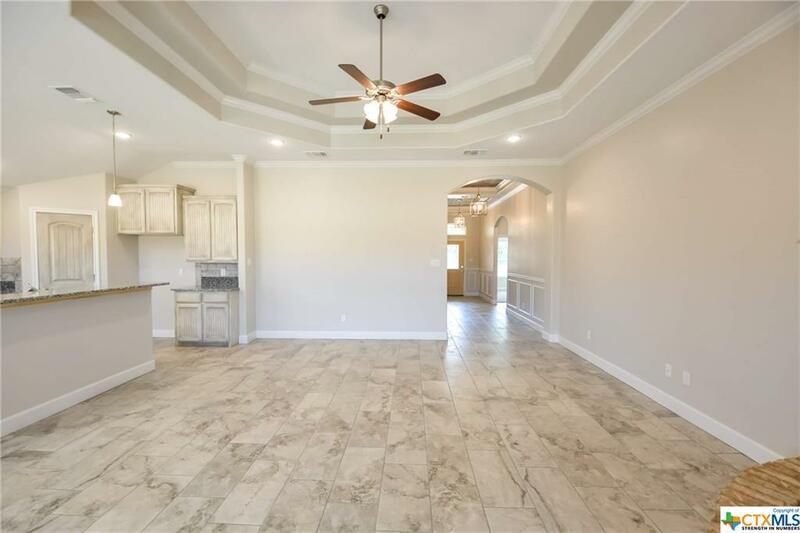 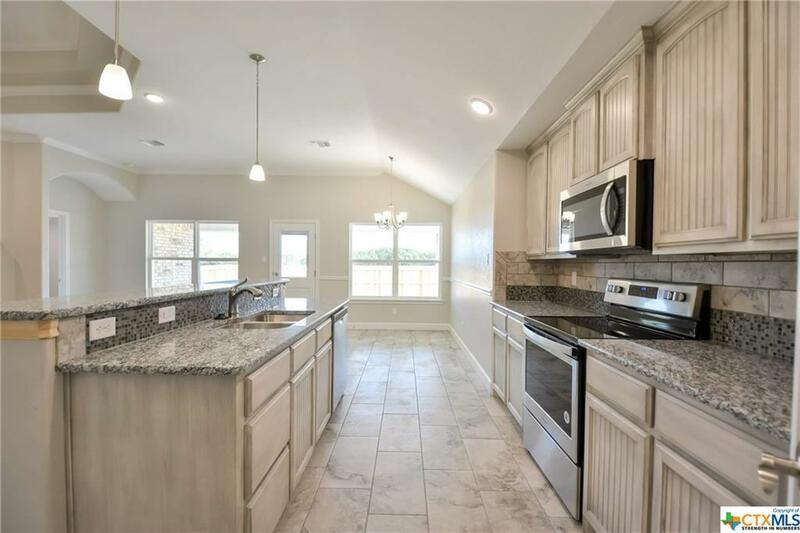 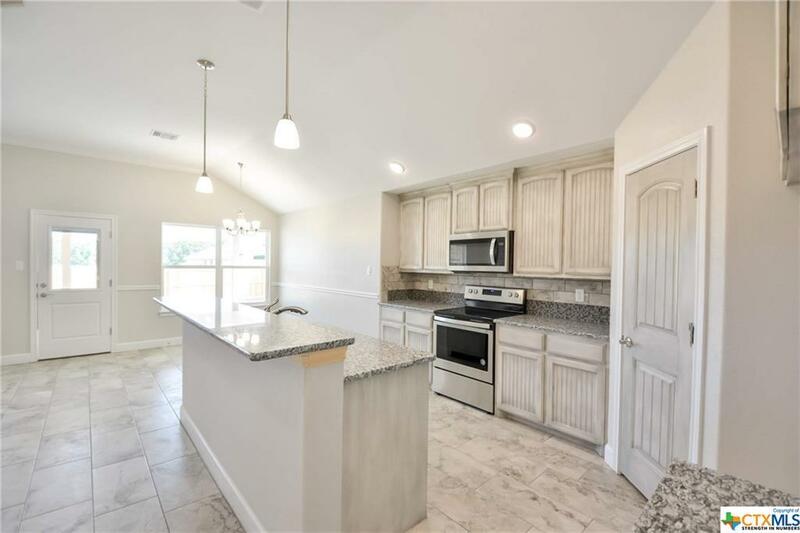 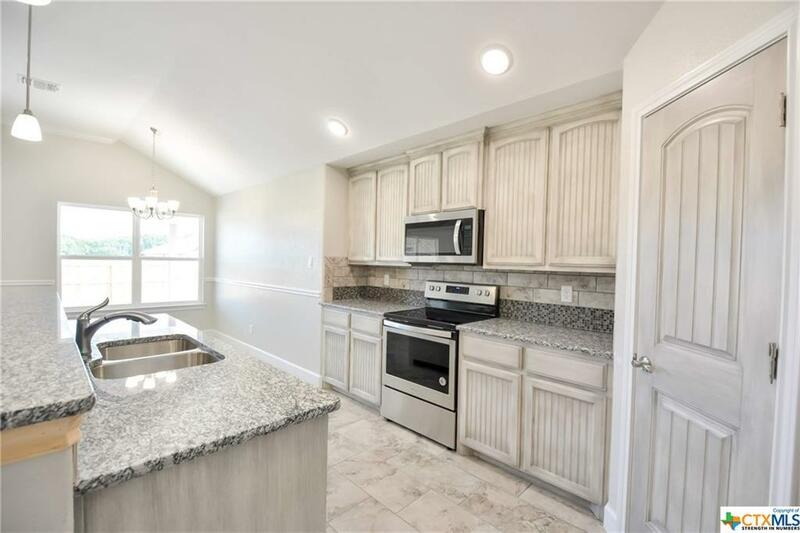 Kitchen has granite counter tops, custom cabinets, stainless steel appliances, large island for sitting, wood look tile in common areas, with corner stone/brick fire place. 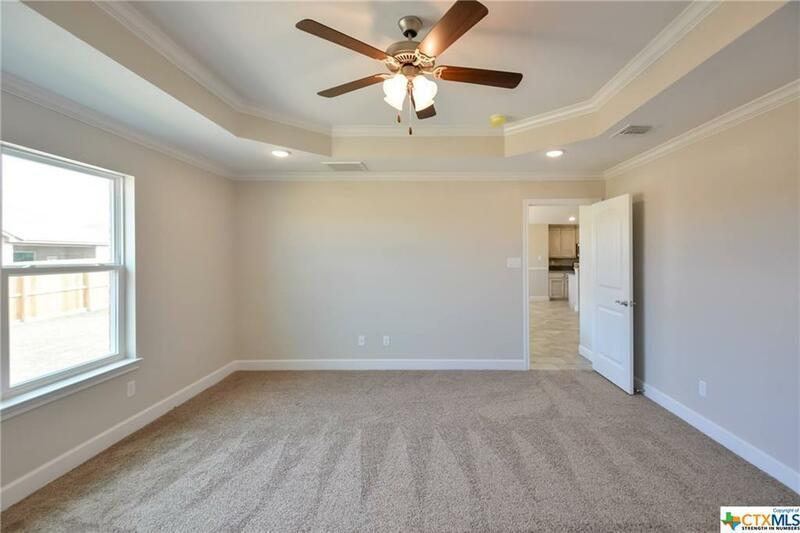 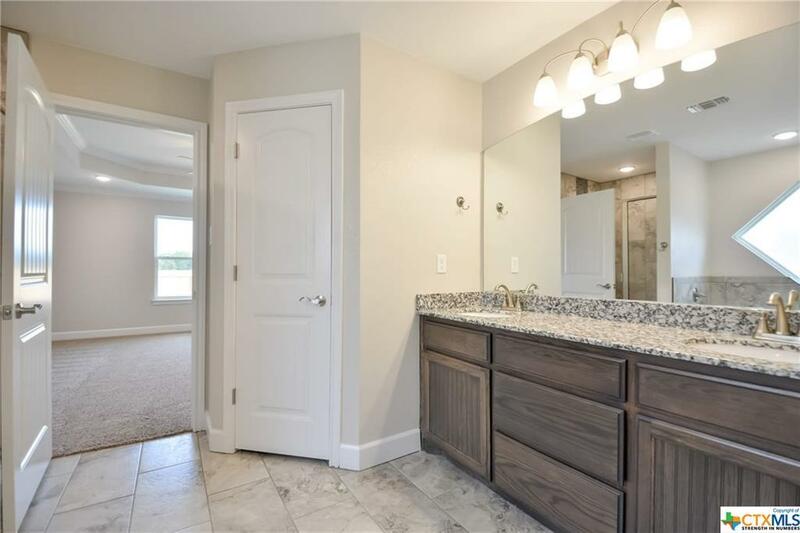 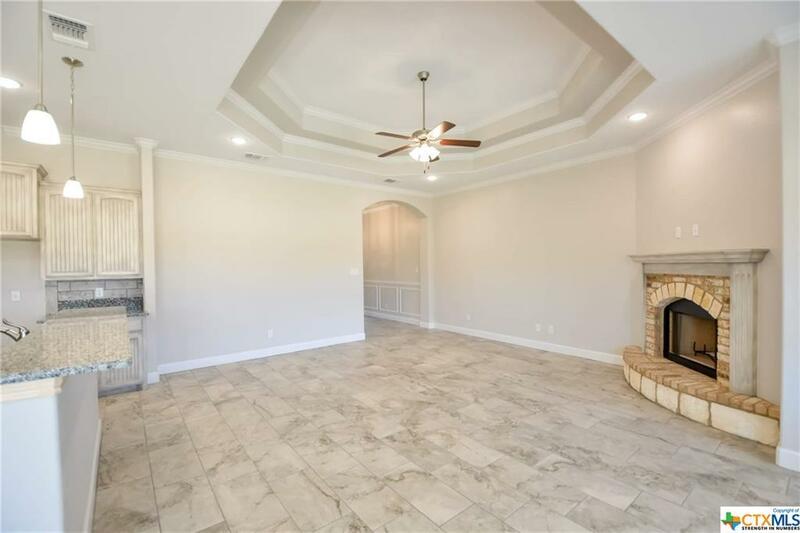 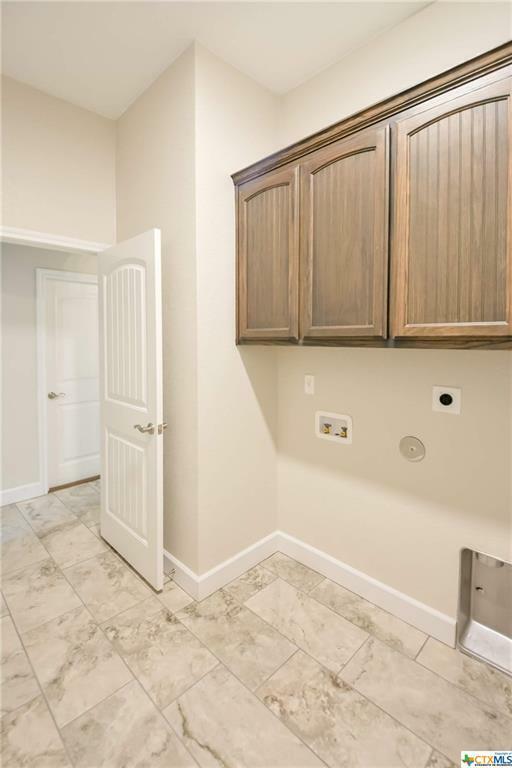 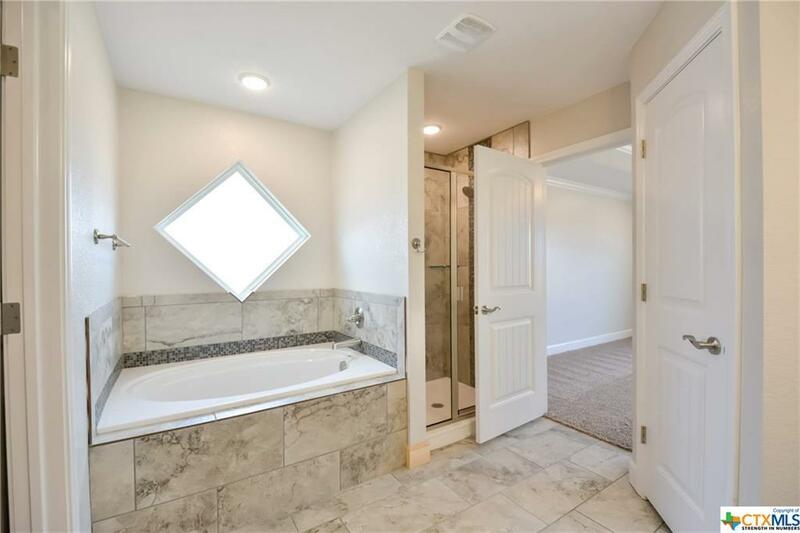 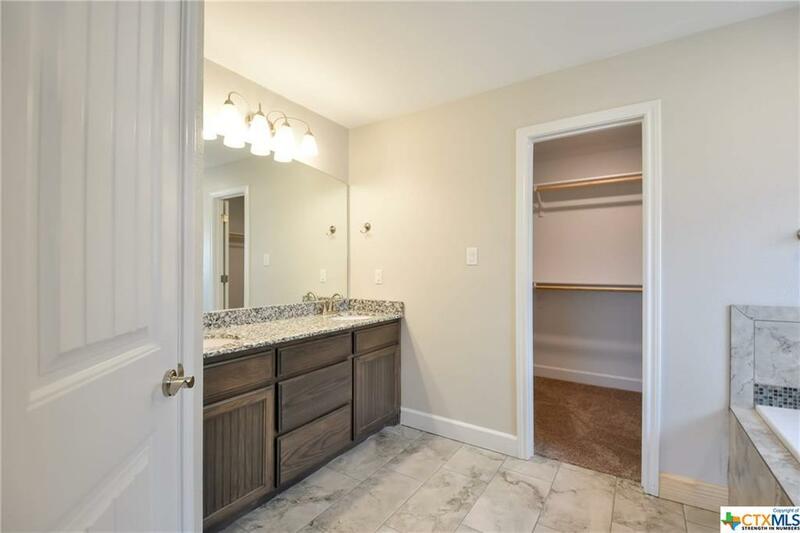 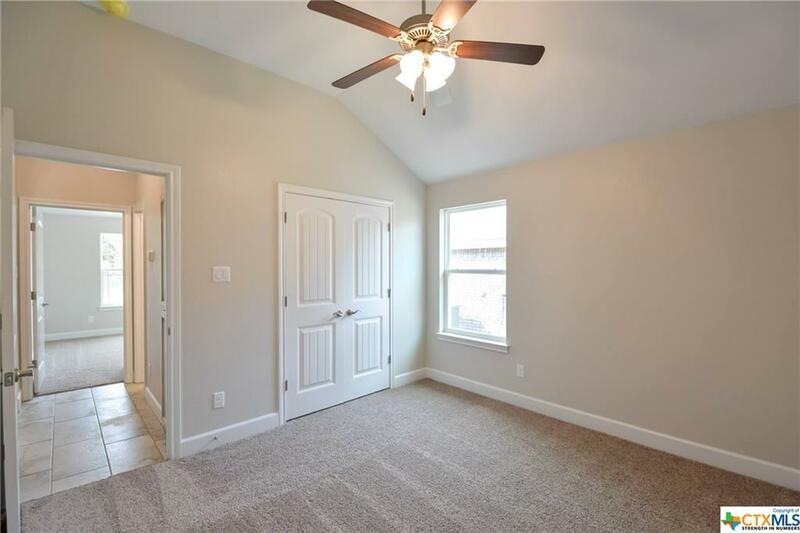 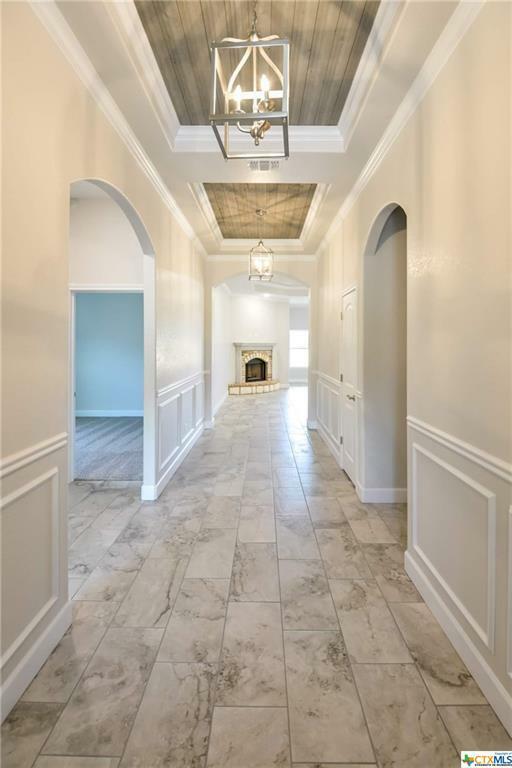 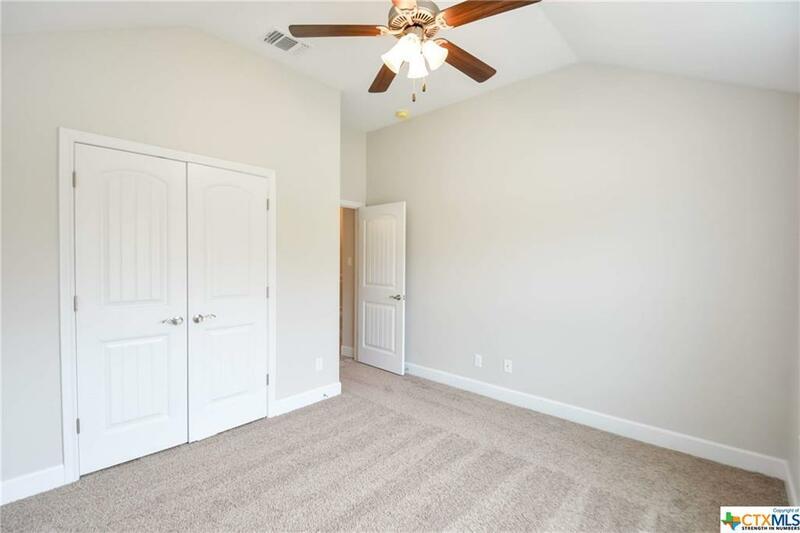 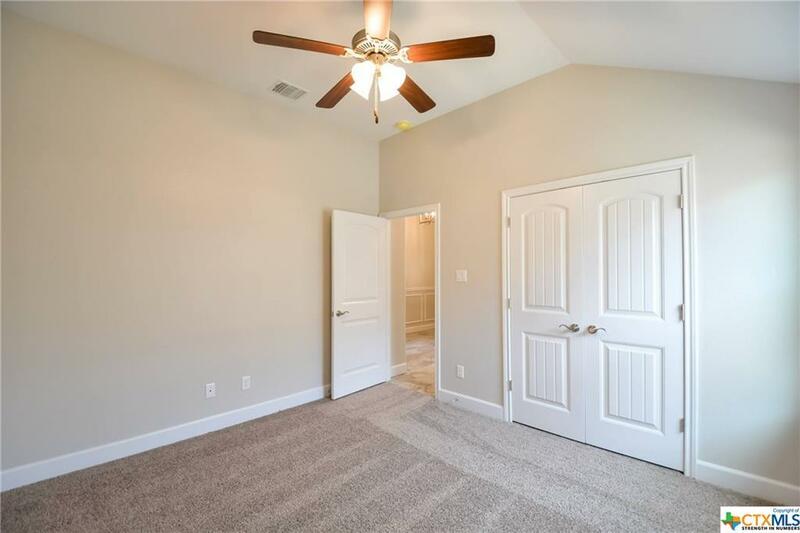 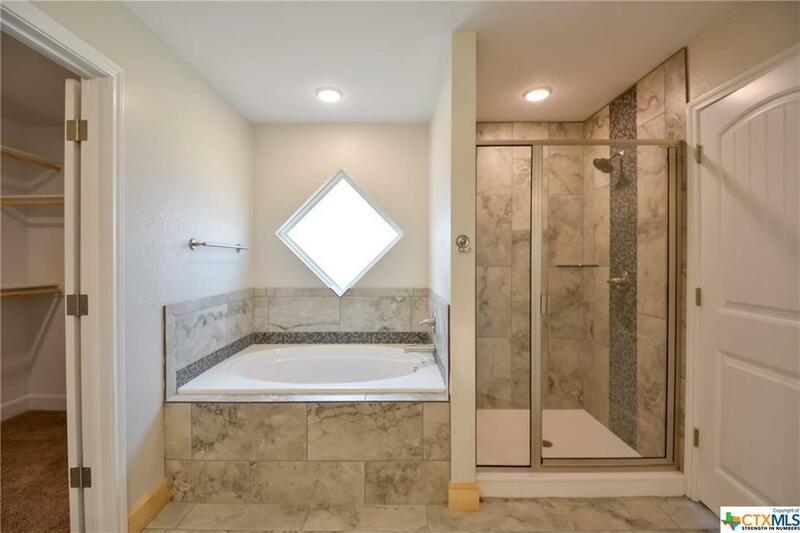 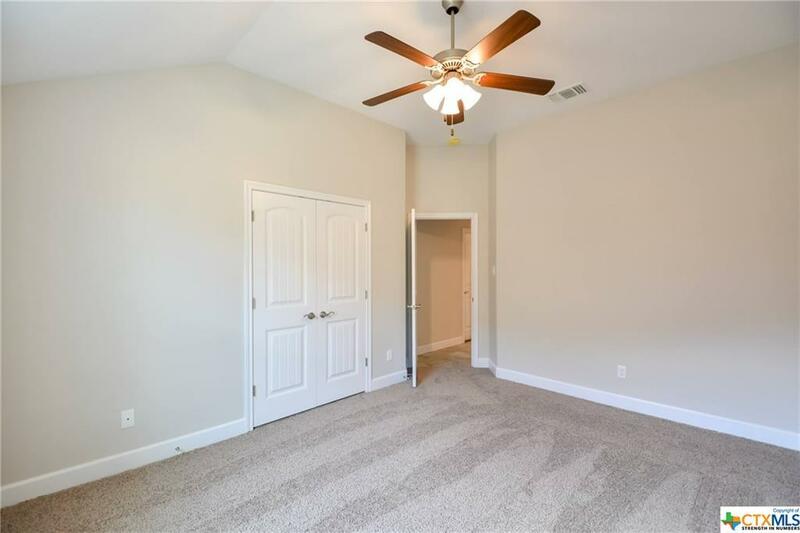 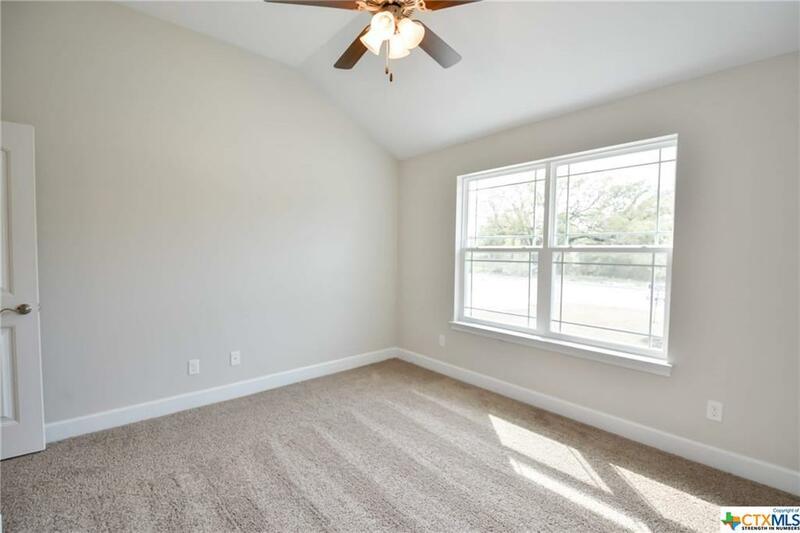 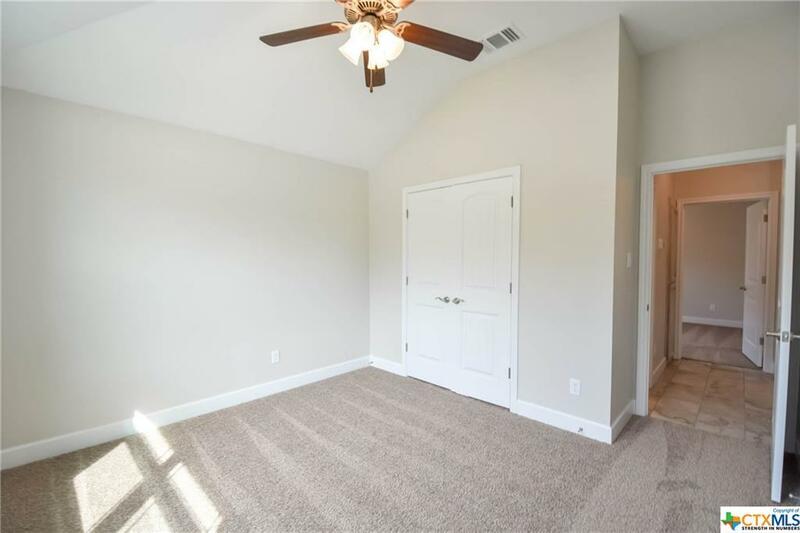 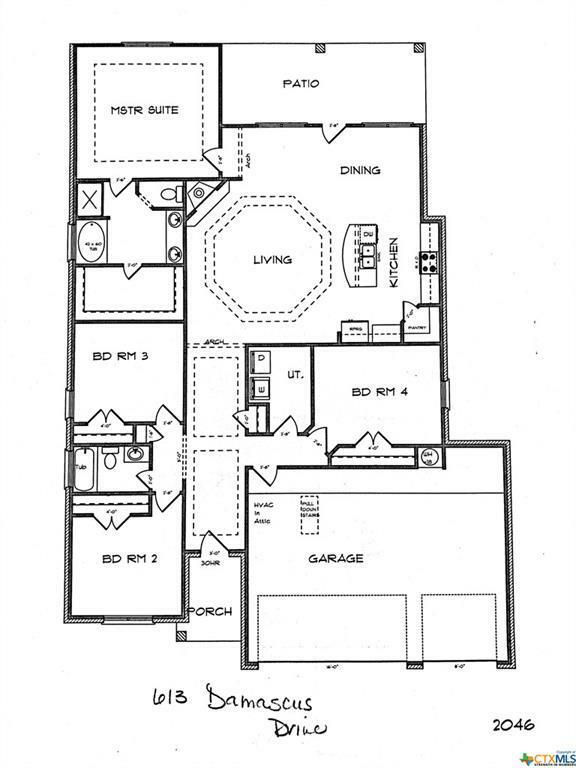 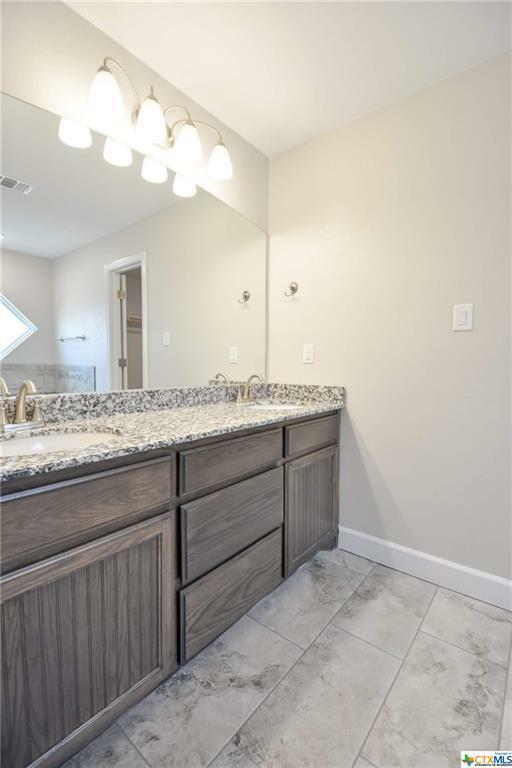 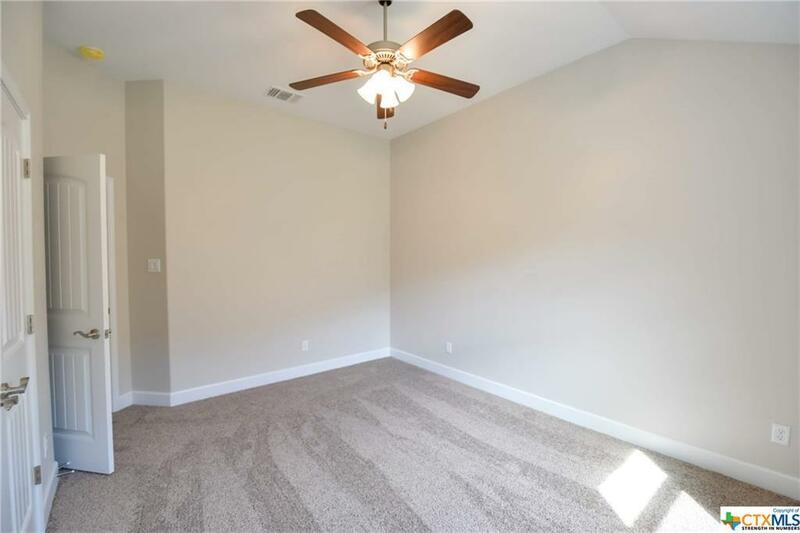 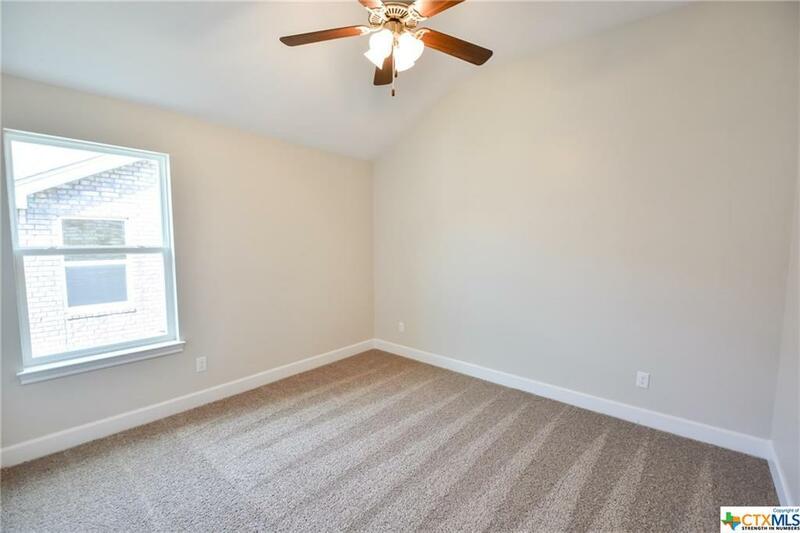 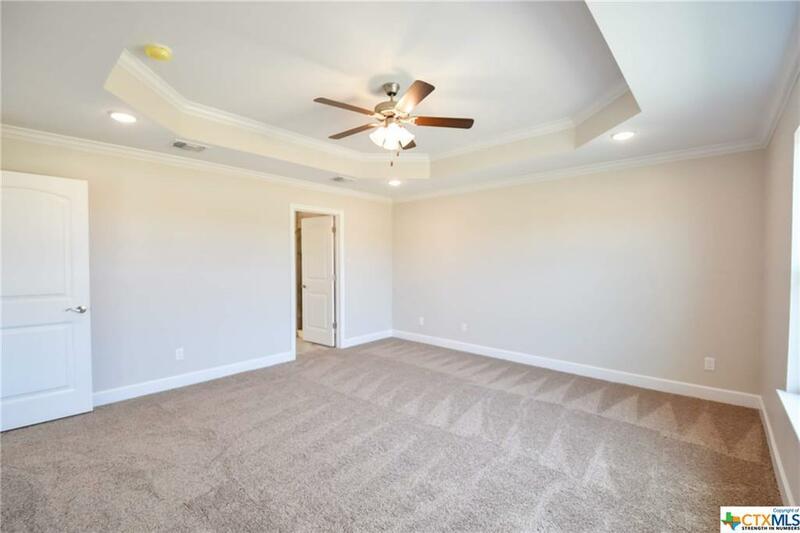 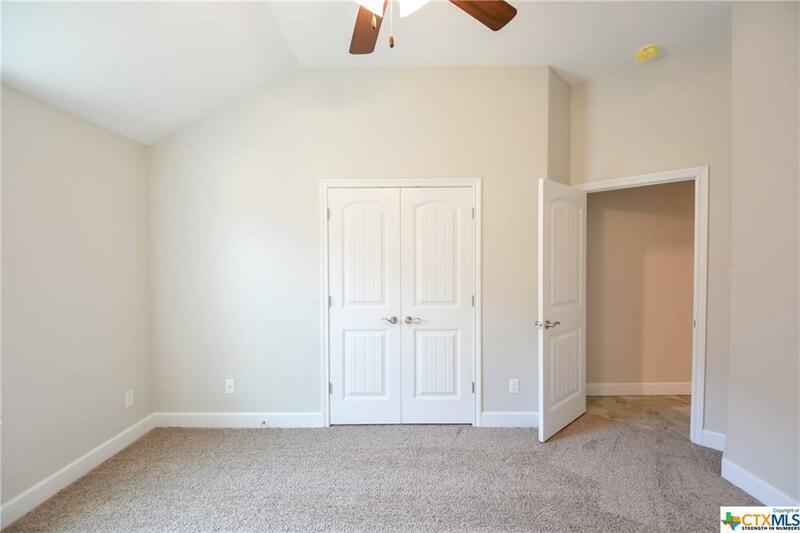 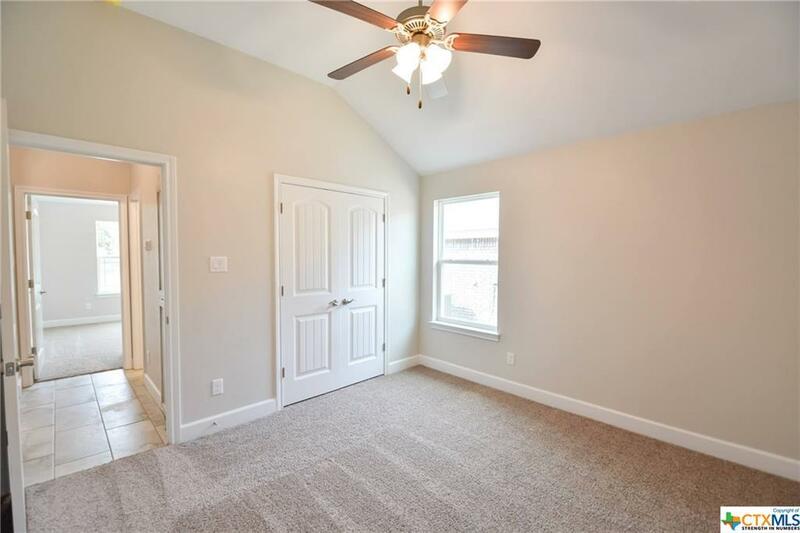 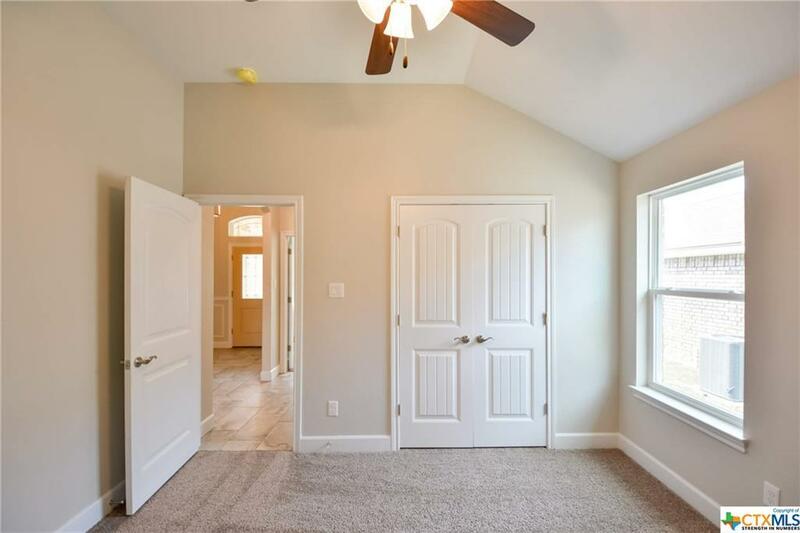 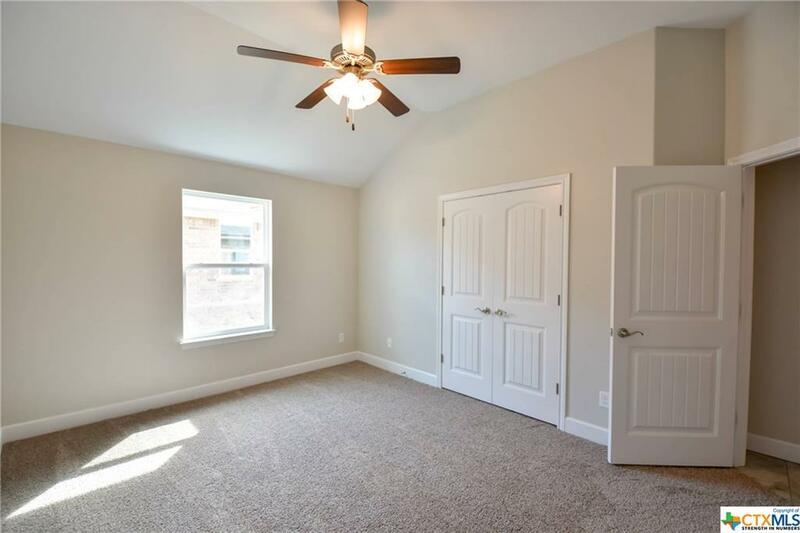 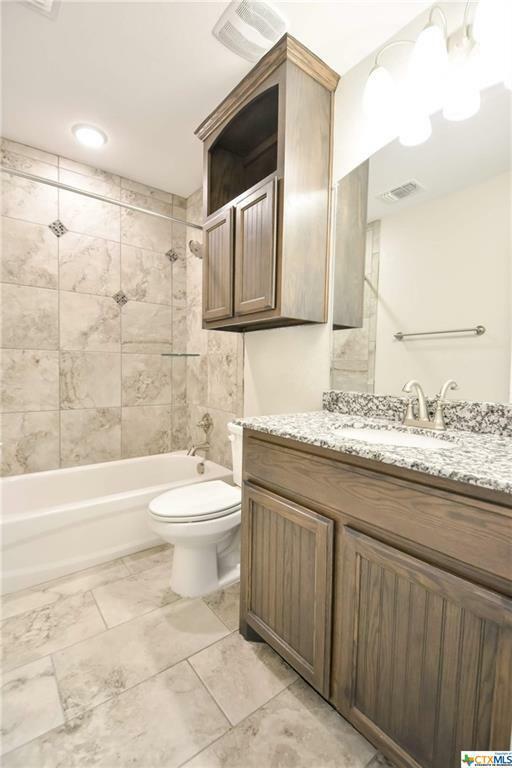 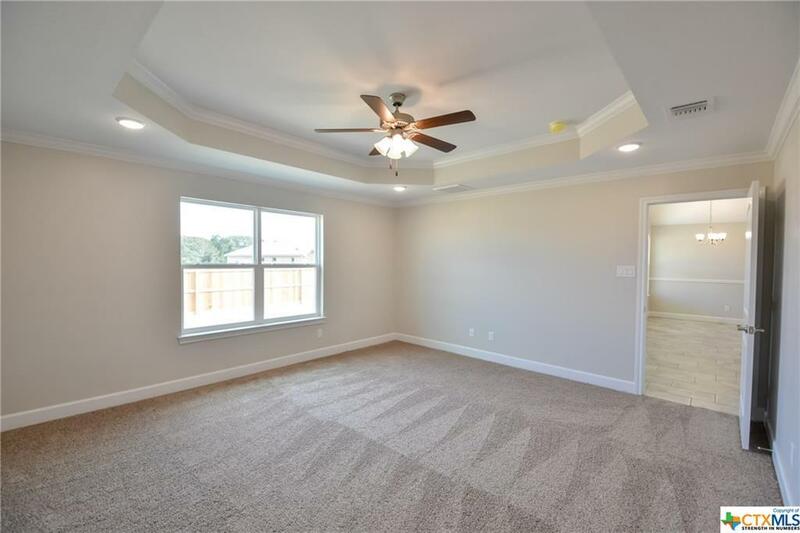 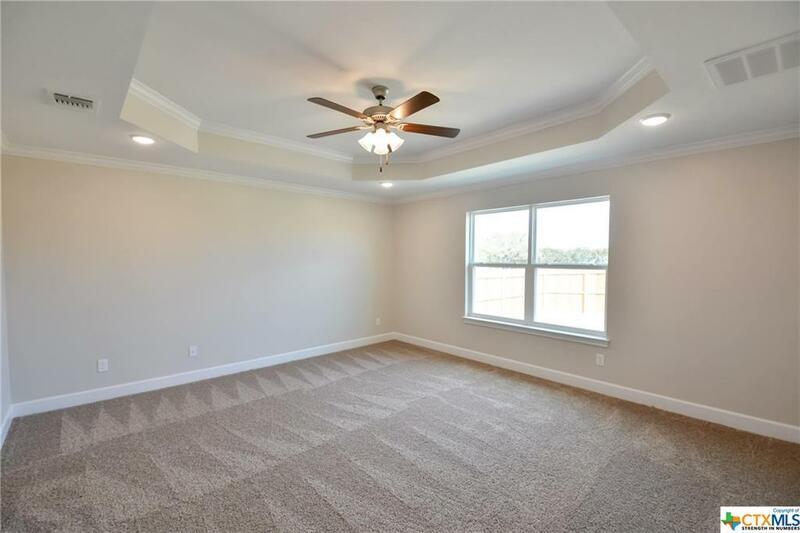 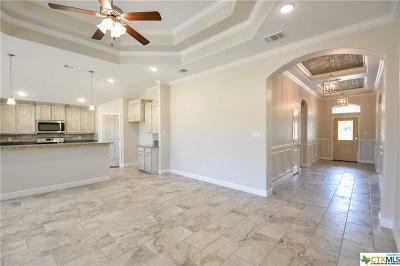 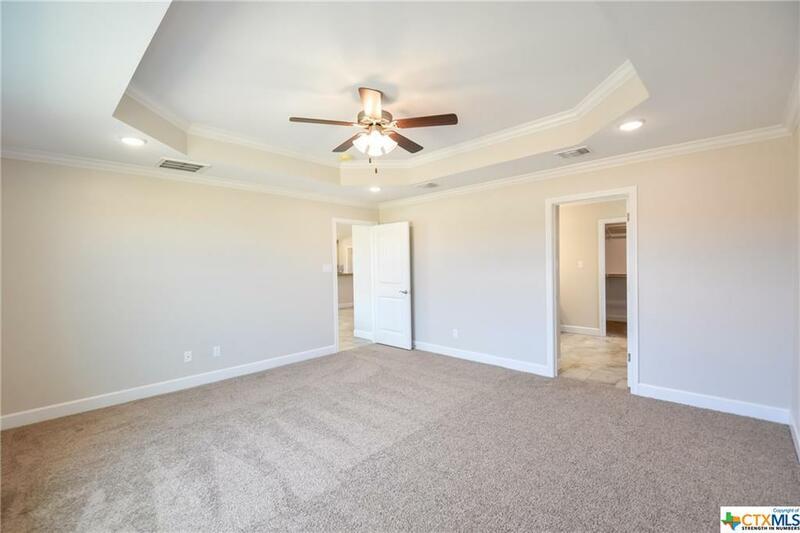 Master bath has separate tub & walk- in shower, large walk-in closet, crown molding, split floor plan. 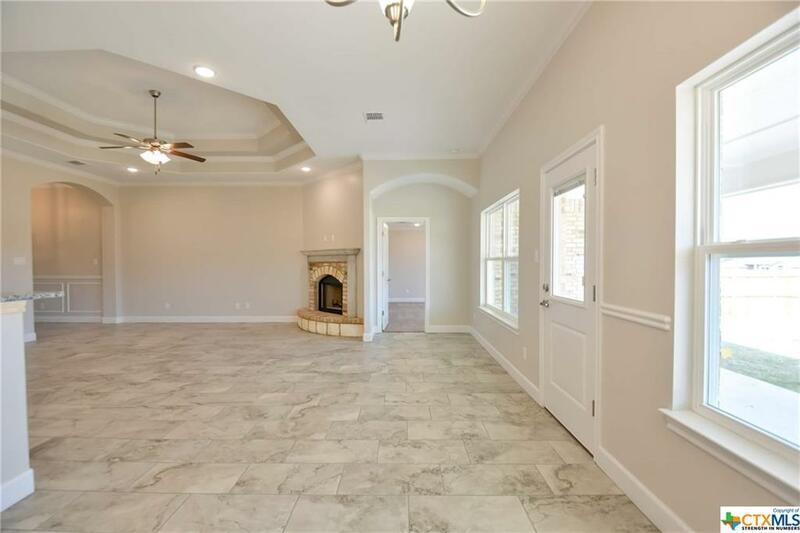 Kitchen opens into family room & family room looks out onto the covered patio. 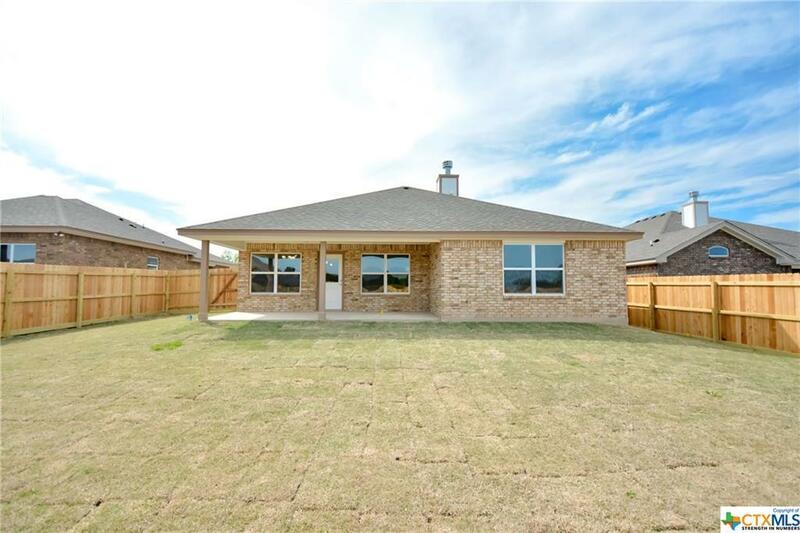 Sod, privacy fence, & sprinkler system front & back.